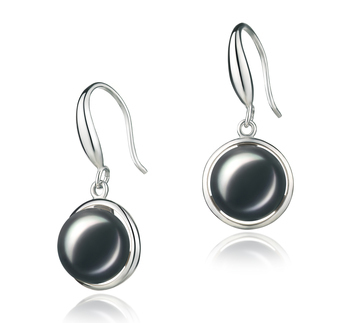 Beauty and Grace all in one set describes these Black Freshwater Pearl Earrings. They are simply magnificent. The earrings feature the .925 sterling silver fishhook drop style loop that adds that little bit of extra length to make that outfit go from okay to WOW! 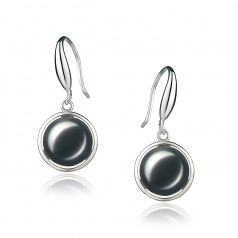 The .925 Sterling Silver continues down and makes a full circle and holds the large 9-10 mm black freshwater pearl. The beauty of the contrasting colors is amazing and inviting. Combine these slightly out of round (AAA) black pearls with your casual, business or formal attire for just the perfect look. The results from the (AAA) sparkling luster will light up your wardrobe choices like you would never believe.